Select Small Medium Large - Only 2 available! X-Large - Only 3 available! 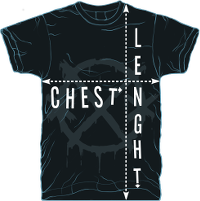 2XL 3XL - Only 3 available! Hey ho, here are some leftovers from our last trip to Brazil in October 2014! Make sure to check the measurement below before you order and as always - contact us if there's anything I can do for ya! Printed in Brazil on "no name" shirts, I don't know the brand but I do like the quality of the cotton a lot and the stitching seems to be really well made. Feels way better than any Gildan or Fruit Of The Loom shirt I've ever touched... I did ask for quality shirts when we ordered these and quality I got, I was very satisfied when we got them and I guarantee you'll be satisfied as well! Swedish color is very cool. 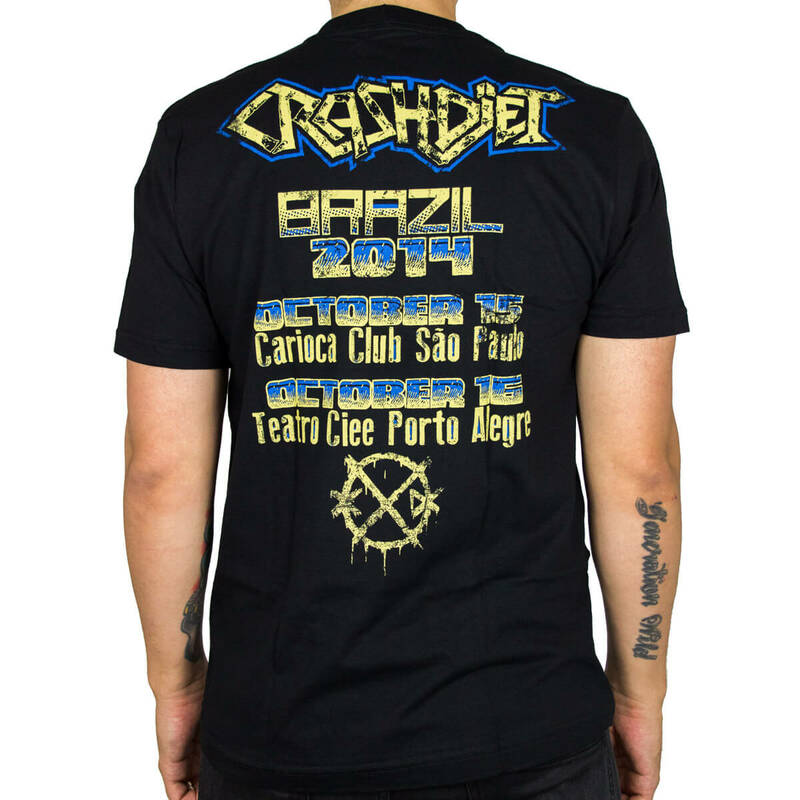 2014 Brazil tour T-shirt,it is an impressive great fans & gig of Brazil. Fans around the world..waiting for Crashdiet!!! 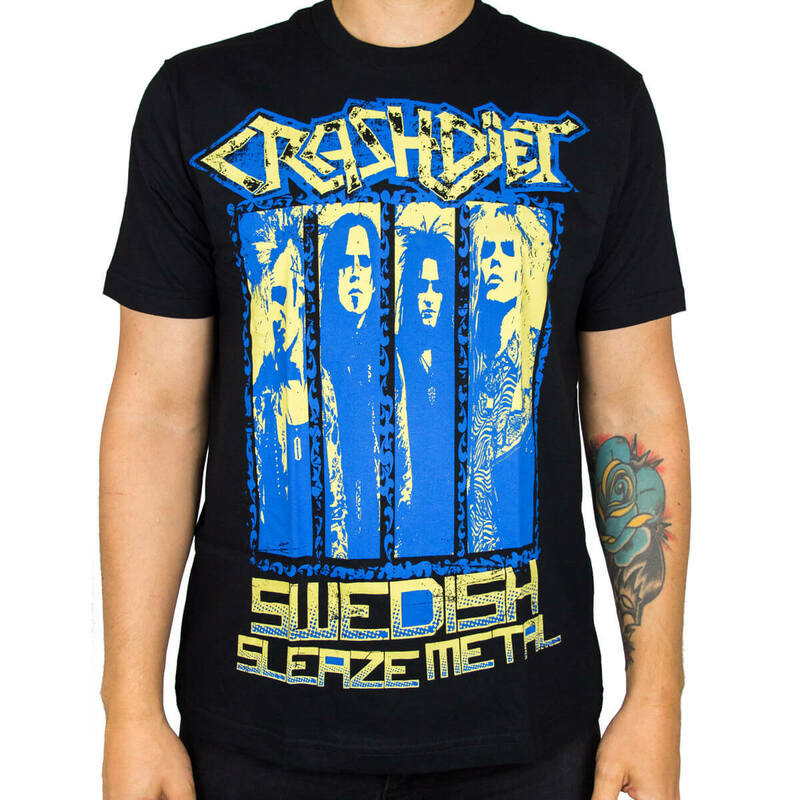 Another awesome Crashdiet shirt to add to our ever growing collection! Great colors on both sides, super comfortable no complaints what so ever. Another awesome item! See all 6 customer reviews. S 50 cm / 19.25" 68 cm / 26.75"
M 52 cm / 20.50" 69 cm / 27.25"
L 55 cm / 21.75" 72 cm / 28.50"
XL 55 cm / 21.75" 76 cm / 30"
2XL 61 cm / 24" 78 cm / 30.75"
3XL 65 cm / 25.50" 83 cm / 32.75"